Renewable energy could drive Australia’s next resource boom as demand for hydrogen surges worldwide. Since the meltdown at the Fukishima nuclear plant in 2011, the Japanese Government has accelerated its search for new energy sources, spending more than $16 billion on hydrogen research and development. As an established energy exporter with proven infrastructure, two Australian projects are already being investigated with the goal of exporting hydrogen to power the 2020 Tokyo Olympics. Hydrogen has a lot of upsides as a carrier of energy. When created with a solar powered electrolyser it produces no emissions and releases only water vapor when used in a hydrogen fuel cell. It can be created with excess renewable energy that would otherwise be wasted, and transported like natural gas. It’s also is a versatile carrier of energy that can be used for a variety of applications. One of the primary uses today is propelling rockets, but work is underway to explore the potential for hydrogen to replace natural gas in domestic applications. With funding from ARENA, Western Australian gas supplier ATCO is building a display home to test how a cooktop, space heater and water boiler respond to different concentrations of hydrogen mixed with natural gas. If trials are successful and the economics stack up, excess renewable energy could one day be stored as hydrogen in ATCO’s 14,000km network of gas pipelines. 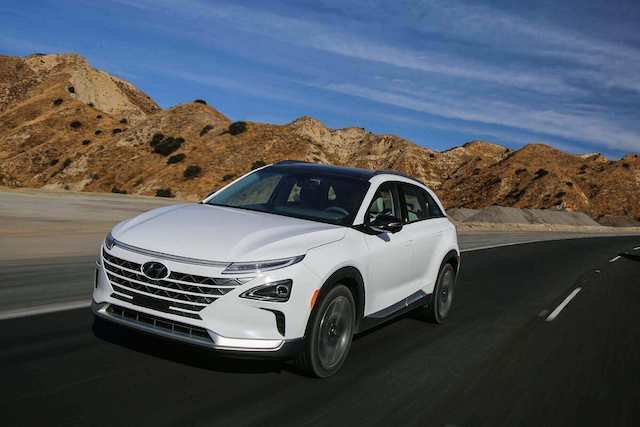 Another growing market is in hydrogen fuel cell powered vehicles, which are already operating in taxi fleets across South Korea, Paris and London, and becoming a private transport option in California where they have set out to construct 200 refueling stations by 2025. Closer to home, Melbourne’s Moreland City Council hopes to be collecting garbage with trucks converted from diesel to hydrogen drivelines by mid-2019. Since the Fukishima meltdown in 2011, almost 95 per cent of Japan’s energy has come from imported fossil fuels. They are the world’s largest importers of LNG and second-largest importer of coal, behind only China. However, that could change soon as Tokyo’s Governor is embracing hydrogen as a future energy source, working to establish a ‘hydrogen society’ in time for the 2020 Olympics. ARENA is supporting the development of an Australian hydrogen industry, launching a funding round in late 2017 to accelerate innovation in the creation, transportation and transformation of hydrogen into energy at the point of use. Successful applicants will be announced soon. ARENA CEO Ivor Frischknecht said there is an opportunity for Australia to export our renewable energy export to the world. “Australian resources have been exported around the world for decades, and renewable energy presents a new opportunity to capitalise on our natural riches,” Ivor Frischknecht said. “Today Australia exports approximately three quarters of the energy it produces, in the form of coal and gas. As demand for these resources cools over coming decades, we want our renewables industry to be ready to provide the energy to supply the world’s future needs. “ARENA is supporting innovation across the hydrogen supply chain, aiming to make renewable hydrogen commercial and competitive, both here and around the world,” he said. Two proposals are on the table for Australia to create and export the hydrogen required to meet Japanese demand ahead of the Tokyo Olympics, where at least 6,000 cars and 100 buses will be powered by hydrogen fuel cells. One project aims to take advantage of the Queensland’s rich solar resources to power an electrolyser and create renewable ‘green’ liquid hydrogen. The Queensland Government expressed support for the Japanese plan less than three months after Kawasaki Heavy Industries announced that they will partner with the Victorian and Commonwealth Governments to gassify brown coal to make non-renewable hydrogen in Victoria’s Latrobe Valley. Under the proposal, Northern Oil will develop renewable hydrogen at its Yarwun refinery, which is close to the Gladstone deep water port and receives more than 300 days of sunshine every year. 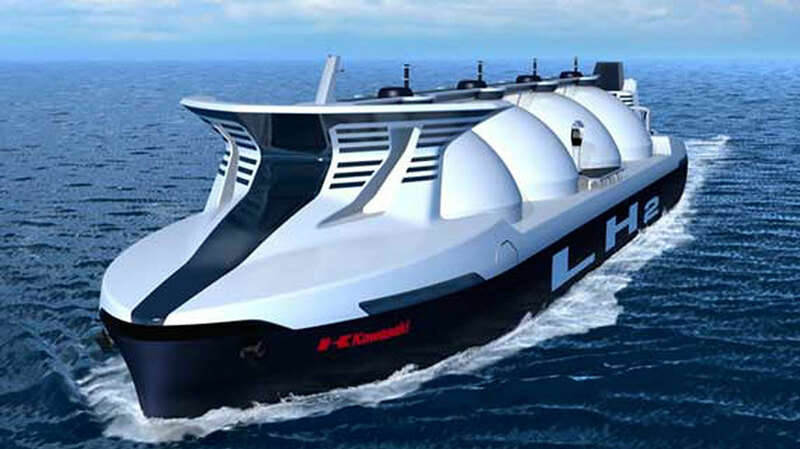 Green hydrogen created will be shipped to Japan on specialised ocean tankers, which are already under development by Kawasaki Heavy Industries. Could renewable energy be our next great export? Hydrogen to become Australia’s next big export?